It’s always a party when we have all six Verities in the house! Join Deb, Erika, Katrina, Liz, Lynne, and Tansy as we squee and muse and generally chat about series 9. It’s tons of fun and less chaotic than you might expect. And as always, we veer into thinky territory as we discuss whether this season really is the most feminist of new Who (or whether it’s really feminist at all). There’s lots to cover, and we enjoy the heck out of covering it. Series 9 has come to a close with quite a bang. 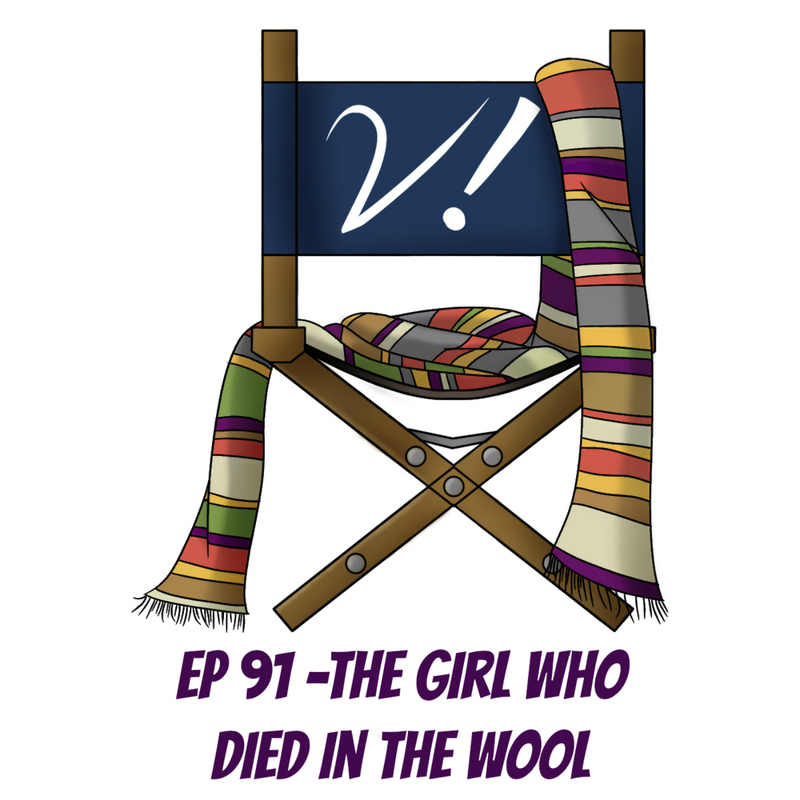 Join Deb, Erika, Katrina, and Lynne as we break down Clara’s end, the Doctor’s homecoming, gender-flipped regenerations, elegant storytelling, season-ending spectacle, and much more. There’s a healthy amount of squee and flail, but not everyone is in hyper-happy mode, so it’s a more balanced podcast than you might expect. How did you feel about the final installment of S9? Was it everything you’d hoped for and more? Did it leave you wanting? Did it just confuse you? Let us know in the comments! 8 from “Night of the Doctor”! listens to an uninterrupted track of Capaldi playing Clara’s theme! guests on Doctor Who Mostly Harmless Cutaway talking about “Face the Raven” and “Heaven Sent”! Erika’s heart is warmed by the Twitter reaction to “Hell Bent”! looks forward to the BBC book Legends of Ashildr! Lynne is greatly amused by the gifs and photos of Messrs. Capaldi, Moffat and Gatiss coming in THIRD in a Doctor Who pub quiz at the Doctor Who Festival in Australia. It wasn’t Susan! Or the Rani! Or any other crazy fan theory! Sometimes Moffat doesn’t lie. Join Deb, Erika, Liz, and Tansy as we talk about Maisie Williams as Ashildr, Vikings, eels, books, Brian Blessed, and much, much more. What did you think of this ep? Did you love the girl who died? Or did you just see Arya Stark from Game of Thrones the whole time? Let us know in the comments! looks forward to Doctor Who night at the College Arms pub in London! delights in the Durham Flash Chorus’ Talalay-ified version of “Renegades”! Tansy dives back into the recently-returned Terminus podcast! Liz pre-orders the properly-sized Night of the Doctor 8th Doctor fig! Deb pre-orders the LI Who variant cover for the new 8th Doctor comic! And another two-parter comes to a close. Join Deb, Erika, Lynne, and Tansy as we discuss how we’re feeling about two-part stories in general and “Before the Flood” in particular. Did it live up to the promise of “Under the Lake”? Reviews are mixed. As are reviews of the cold open, the sunglasses, and pretty much everything else. That’s what makes it fun! How are you feeling about two-parters? How did you like this part, specifically? Let us know in the comments! And congratulations to the winner of our $30 Amazon gift card! ETA: The originally-released version of this audio file is missing Lynne’s track in several places. This has been fixed, so if you’re missing Lynne, please re-download the episode now. Sorry for the inconvenience! Lynne covets the new Night of the Doctor fig! Erika couldn’t be more excited about her upcoming travel to the UK, LI Who, and Chicago TARDIS! wishes the LEGO Gallifreyan Shopping Network were a real thing! adores the art of Karen Hallion, and really adores that she can get it on fabric at Spoonflower! had a great time on the Doctor Who panel at NYCC! looks forward to the beautiful new book Doctor Who: Impossible Worlds: A 50-Yeah Treasury of Art and Design! It’s the first episode of another two-parter! (Though not everyone remembered that.) Join Deb, Erika, Katrina, and Tansy as we talk about bases under siege, horror/suspense tropes, ghosts, a sea turtle named Clyde, and more! What did you think of this one? Too horrorey? Too base-under-siegey? Or not enough? Let us know in the comments! Also, we’re doing another GIVEAWAY! Be sure to comment over on that post to enter. Though if you’re one of our lovely Patreon sponsors, you’re entered already! Tansy loves how well the ABC supports Doctor Who! talks about “The Witch’s Familiar on The Incomparable’s TeeVee podcast! sees her spouse interview Jenna Coleman at Edmonton Expo! watches him play the Doctor Who bits of the LEGO Dimensions base game! has her picture taken with Jenna Coleman at Edmonton Expo! enjoys a live, improvised ep of Doctor Whom! appears at New York Comic Con on Oct 11th at 4pm! eagerly awaits the new War Doctor and 8th Doctor Time War audios from Big Finish! is (mostly) happy there’s a new Doctor Who spin-off coming: Class! It’s an Erika-less Verity!, but there’s more than enough excitement to make up for it. Join Deb, Liz, and Lynne as they dig deep into everything Clara, Davros, Missy, Doctor, Daleks, and more! There are crack theories, lots of squee, and many astute observations about the second installment of series 9. What did you think about this one? Did Steven Moffat close things off nicely? Or…not? Let us know in the comments! Lynne wants to get her grubby little hands on the new Missy action figures! Liz is still excited about LEGO Dimensions! wants the rumors about David Tennant and Catharine Tate coming to Big Finish to be true! knows those two have great chemistry based on Much Ado About Nothing and their Chain Reaction appearance!